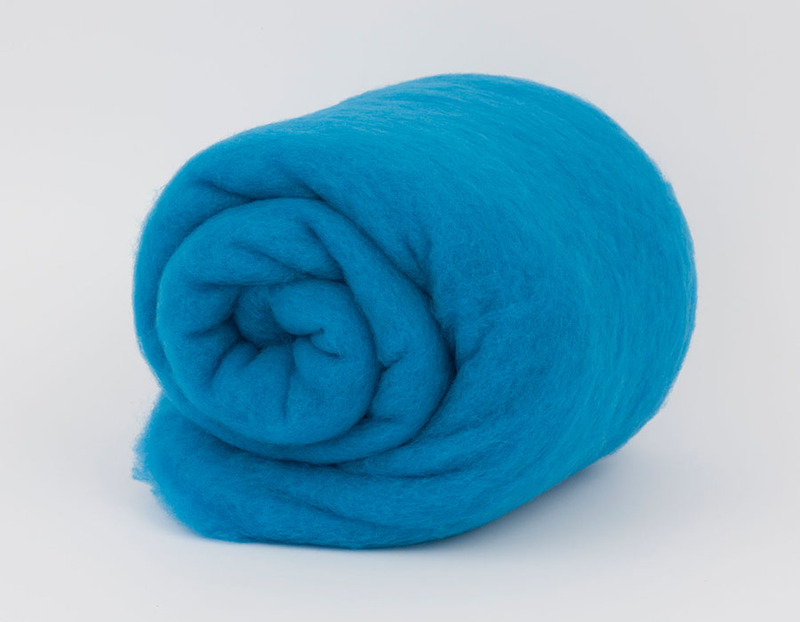 Carded wool :: Carded Wool Australian 24 mic :: DodgerBlue B129, 24mic carded wool, 50 gr. Home/Carded wool/Carded Wool Australian 24 mic/DodgerBlue B129, 24mic carded wool, 50 gr. Minimum quantity for "DodgerBlue B129, 24mic carded wool, 50 gr." is 2. Australian merino carded wool 24 micron from ECO-HOBBY WOOL AND FELTING LTD factory made from high quality Australian raw materials. Our production is perfectly clean with the same length woolen fibers (the fiber length is not less, than 8 cm/3.5 inch) and most importantly – it is a multilayer! Purpose: felting clothes, toys, accessories and other. I received the parcel, everything is perfectly packed, signed.